COCOA, Florida - A Florida man was arrested after he allegedly attacked a bank ATM for 'giving him too much money' in Cocoa, Florida. According to the Cocoa Police Department, 23-year-old Michael Oleksik of Merritt Island, Florida attacked the automated teller machine around 1 p.m. on November 29th at a Wells Fargo Bank located at 834 North Cocoa Boulevard in Cocoa, Florida. Another customer then notified the bank manager that a man was damaging the ATM outside. Wells Fargo Bank security then reviewed video surveillance which showed a man punching the screen. Shortly after the manager was notified of the damage, Oleksik allegedly called the bank and said that he punched the ATM screen because he was angry the ATM was giving him too much money and he did not know what to do. He said that he was in a hurry and had to go to work, so he left the bank after causing the damage. He then apologized for damaging the ATM. The bank manager later wrote a prosecution affidavit stating that Wells Fargo would like to prosecute. On December 18th, a third-degree felony arrest warrant was issued and then served on Oleksik on December 21. 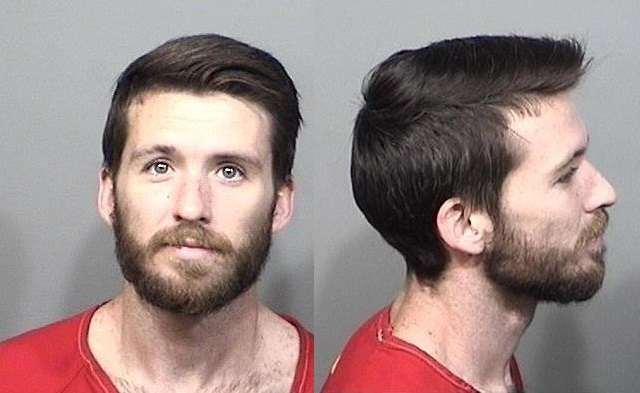 Oleksik was booked into the Brevard County Jail in Sharpes, Florida on the charge of criminal mischief causing over $1,000 damage because the estimated damage to the ATM exceeded $5,000. The Florida man's bond was set at $2,000.